According to Statistics Canada, 8 million people across Canada have taken on the role of caring for an aging or health-challenged loved one. Most of us, at some point in our lives, will act as a caregiver for an elder family member. As a family caregiver, there will be many deeply rewarding experiences. At the same time, caregiving is both physically and emotionally demanding, and when family caregivers provide ongoing support for loved ones, they are at risk of burning out. 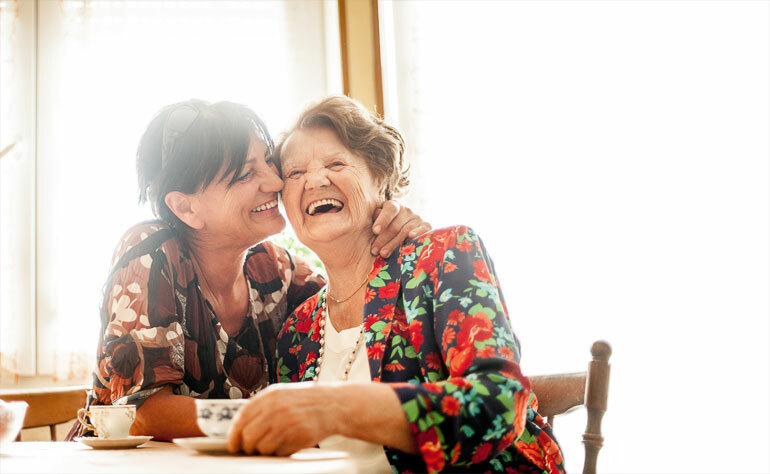 If you are new to your role as a family caregiver, read on to learn the basics of being a caregiver, and how you can protect yourself from stress and caregiver burnout. What is the role of a family caregiver? As we navigate through the ups and downs of life, circumstances including aging parents, and illnesses or disability in the family may befall us. In such a scenario, the family member who devotes themselves to taking care of their elders, or a health-challenged loved one, is the caregiver. What is respite care, and how can it help prevent burnout? Is there anything else I can do to help prevent burnout? Most aging Canadians still prefer to age in place – being at home, surrounded by family and familiar traditions, makes the experience of aging much easier. Over 28% of Canadians are family or informal caregivers. As a caregiver, you have an emotional investment in the person you are caring for, and you are enabling your loved one to age in the best way possible for them. You may need to take a break from time to time, but there will be more precious moments spent with your aging loved ones when you return. Share with us some of your most memorable moments as a caregiver for your loved ones. Send us your story today – you’ll be helping us spread awareness for all caregivers currently caring for their loved ones, and you’ll be entered to win one of three prizes worth $1,000 towards Bayshore home care services.